Flash Video + MP3 Audio + PDF + Transcript + Master Resell Rights Included! This Is The Million Dollar Blueprint You've Been Looking For! 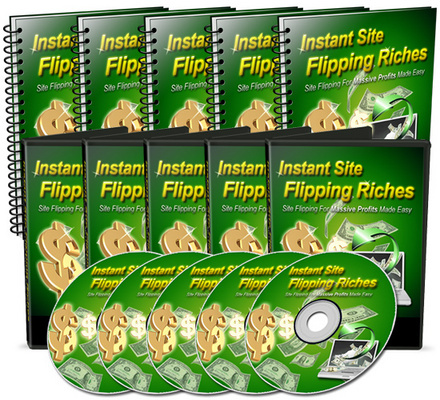 Instant Site Flipping Riches is broken down into 5 easy-to-follow videos, teaching you how to build and sell websites and see big paydays! P.S. In Instant Site Flipping Riches, you get uncensored access to my personal methods to cash in big time with any website you have - or create - at disposal. You can start seeing real money in as little as a few months, even if you are a newbie working from scratch. Twitter Profits Pack - With A Mystery Bonus!